Taking care of aging or sick elderly loved ones takes a toll on you. Finding out more about what a typical day for caregivers is like can help you determine what kind of help and assistance is right for your loved ones. The first thing you will learn when you take on the care of a sick elderly relative is the fact that there is no typical workday. Caregivers may have several clients that they care for in a week or just have one that they care for around the clock. Some may experience helping their clients go to the hospital for treatment or an assisted living facility. Every caseload, every day, is different. While there isn’t a typical day in the life of a caregiver, you can expect common duties to include home maintenance, meal preparation, personal care, and more. 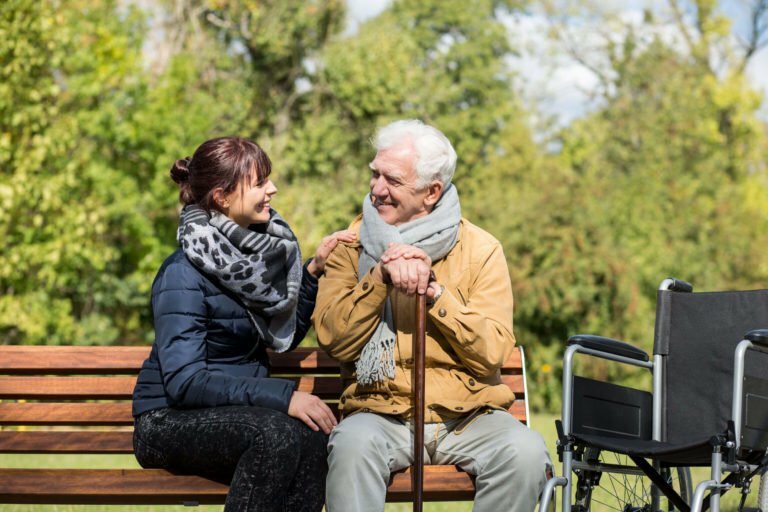 You can expect a caregiver to fulfill these duties and more. To be a better caregiver, encourage your caregivers to take breaks. They must also have enough training and experience for the job. If you plan on providing care to your loved ones too, here are a few tips to help you out. You will not be able to handle everything alone. You will need help. Start by getting the training you need. Visit FSL’s Empowering Family Caregivers page for more information on caregiver education, resources, and advice you may need. Throughout the community there are also low cost and FREE options available for you, view our Community Calendar here. Don’t start out without any idea of what your loved one’s care options are like. You can save yourself a ton of time, effort, and trouble when you check out adult foster care training options. Make better and informed decisions regarding the care of your loved ones when you use essential and helpful resources. One way to make the situation much easier to manage is to hire the right support. Contact FSL today to help you provide the care you and your loved one may need on a day-to-day basis, whether it be Home Health, Home Care, caregiver training, education, or respite care. Please call 602-285-1800 for more information.